This beautiful modern architectural villa with lovely lush garden offers 4 bedrooms with air conditioning and 3 bathrooms. 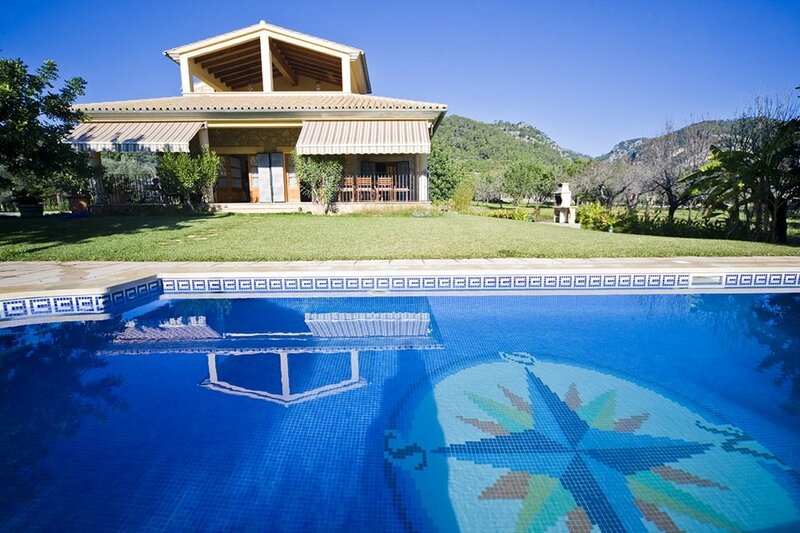 From the garden and pool area you have a beautiful view of the Tramuntana mountains that surround the Lloseta area. The infinity pool is surrounded by lawn area and there is a little separate terrace with a rustic dining table. At night the garden is lit up beautifully making you want to dine at home and enjoy the tranquility this area offers. As you enter the villa you’ll arrive in a double height hall with a guest toilet on your right hand side and a suite with an en suite luxury bathroom on your left hand side. In front of you is the dining area with large glass sliding doors that open onto the covered terrace with another dining table overlooking the swimming pool. On the right hand side is the fully equipped kitchen with breakfast table and on the left the living room with TV and fire place. The whole down stairs living area is closed of from the garden by large glass sliding doors that can all be opened in summer to make the indoors part of the garden. On the first floor there is another suite with an en suite luxury bathroom and a private terrace. Furthermore there are 2 bedrooms that share a bathroom. In the garden there is a fixed BBQ, there are 8 sun beds and umbrellas, the 16.00m2 plot is fenced and has an automatic door. Over 3 cars can be parked right next to the villa. 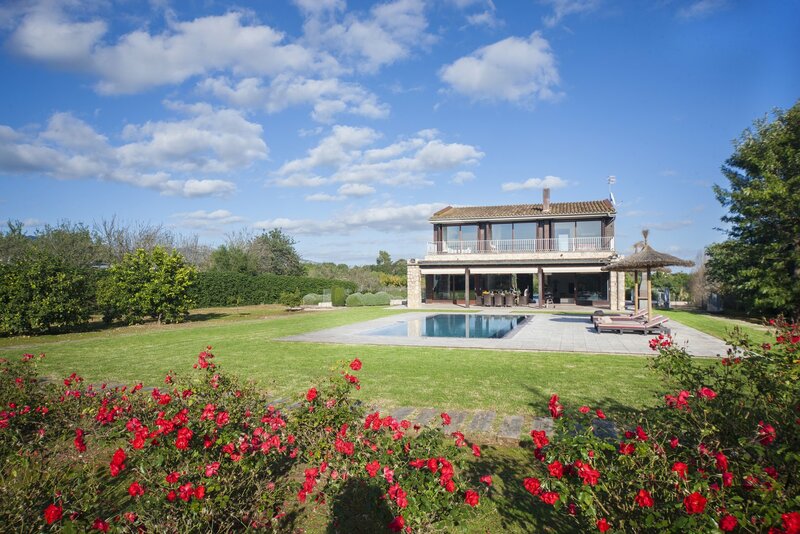 This is a the perfect luxury villa for families with children or a group of friends. The sandy beaches in the North are only a short 30 minute drive away from the house.